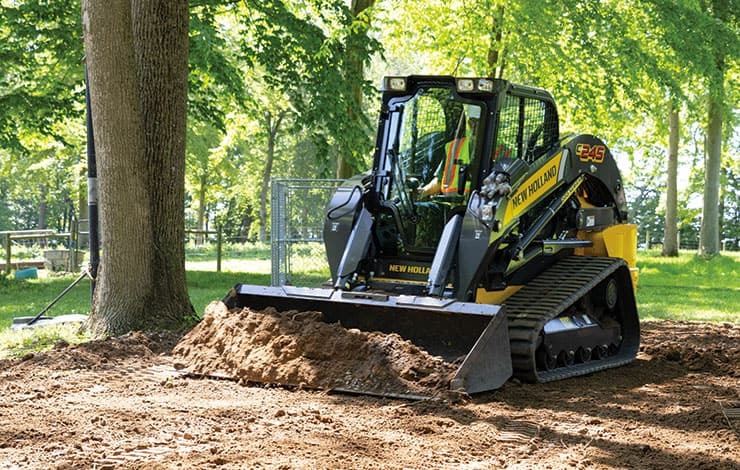 The C245 excels on the farm, in rental yards and on construction sites. With 4,500-lb rated operating capacity, and greater bucket tip and lift breakout forces, the C245 lifts more hay bales, hauls heavier pallets, and moves bigger boulders so you keep ahead of schedule. This 90-horsepower model is also ruggedly built with a heavy-duty steel rear door, steel rear hood, and steel front work lights with sidelamps, for extra visibility during nighttime operation. ​With the patented Super Boom® vertical lift linkage, New Holland compact track loaders provide you with some of the best breakout forces and dump heights in the industry. The C245 is powered by a 90HP FPT engine. 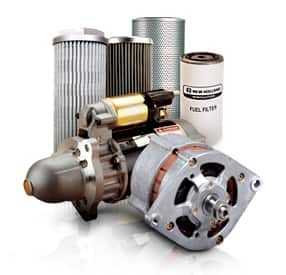 The engine meets Tier 4 Final standards via SCR (Selective Catalytic Reduction) and DEF (diesel exhaust fluid). Meaning, no need for a diesel particulate filter nor regeneration.